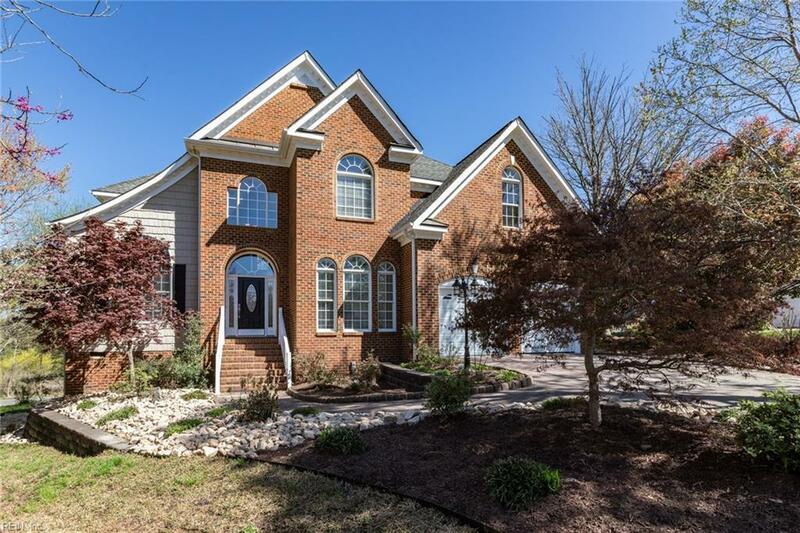 Stunning 5 bedroom transitional style home overlooks the Gatling Pointe Yacht Club offering long distant views of the river. Second floor game room with wet bar and spectacular views! 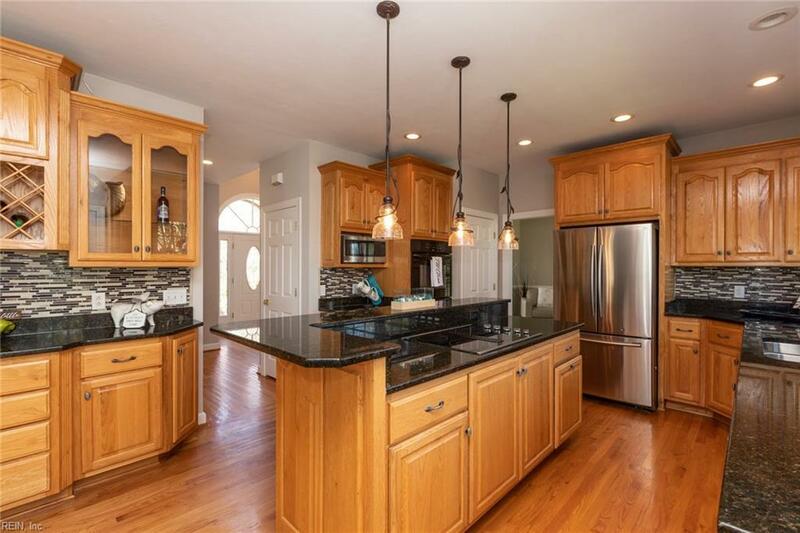 Hardwood flooring, tiled baths, granite counter tops throughout. New carpet in bedrooms, freshly painted interior and exterior trim. Luxurious master suite features sitting room, fireplace, expanded bath & access to the second floor deck. 1st floor bedroom with bath. 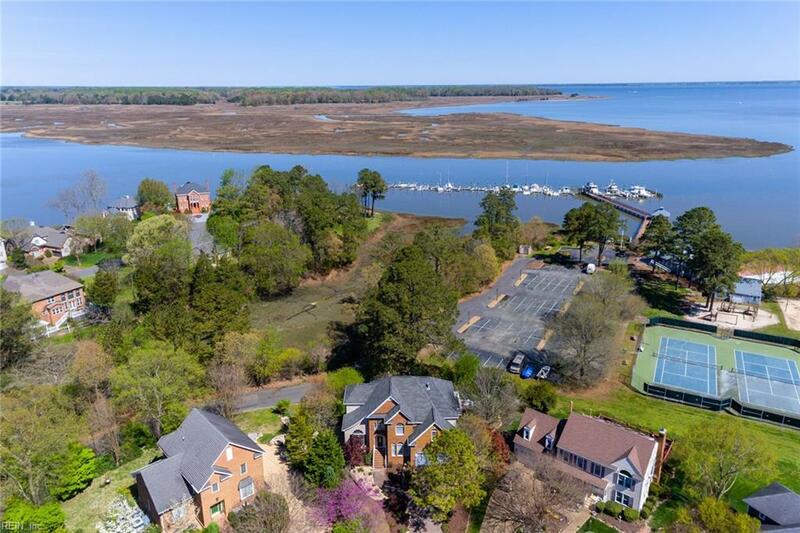 Discover the best in waterfront living, walk to your boat at the GPYC marina, club restaurant & pool overlooking the James River, located a the mouth of the Pagan River. Stone accent fireplace in the family room, lots of windows highlight the dramatic views. 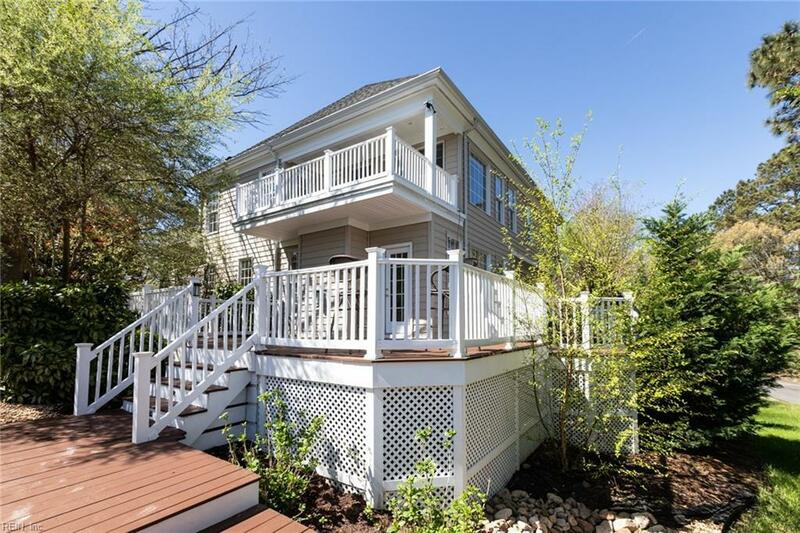 Expanded deck, oversized garage, impressive curb appeal, well landscaped, immaculate interior move-in condition. New HVAC 1st & 2nd floors, new AC 2nd floor!